A NEW world-class centre for neurological research being built at the QEII Medical Centre in Nedlands is a step closer to completion. Bryant Stokes with Ralph Sarich and Health Minister Kim Hames at the turning of the sod. house five of WA’s premier neurological research organisations, are now being prepared by the Cockram Construction Ltd. The centre, to be completed in late 2016, will comprise four levels and house Curtin University’s Neuroscience Research Laboratory, the Ear Science Institute of Australia, the McCusker Alzheimer’s Research Foundation, the SCGH/UWA Neurofinity Surgical NeuroDiscovery Group, and the Western Australian Neuroscience Research Institute. “The striking design incorporates 8932sq m of clinical amenities including rooms for assessments and treatments, along with tissue culture laboratories and facilities for neurodiscovery movement analysis, physiology research, experiments and cryogenic archival storage,” Health Minister Kim Hames said. The Minister said the $37.7 million project would not have been possible without the driving force of highly respected neurosurgeon and Department of Health acting director general, Professor Bryant Stokes, and the unprecedented generosity of the Sarich family. 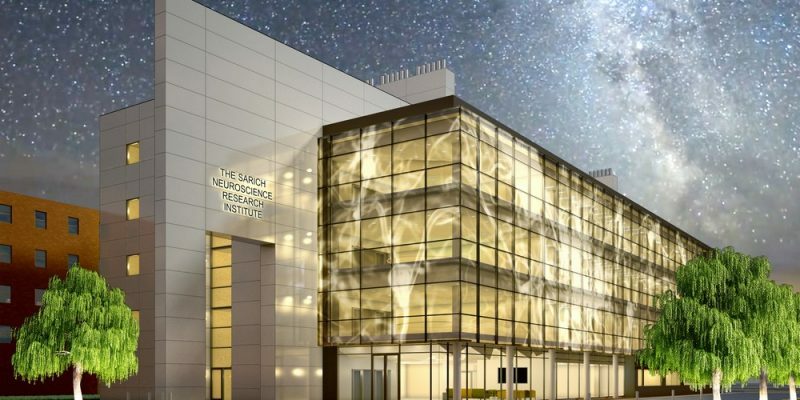 “This project heralds an exciting era in world-class neuroscience research in WA and there’s no doubt that without the efforts of Professor Stokes and the Sarich family, we would not be standing on this site today talking about the facility about to take shape,” Dr Hames added. “Since 2008, Professor Stokes has been a tireless advocate for a facility of this calibre. The Sarich family’s contribution of $20 million is one of WA’s largest ever personal donations, and combines with State Government funding of $5 million and $7.2 million from Lotterywest, $3.5 million from Curtin University, and $1 million each from the Wheatley family and The University of Western Australia.